“faux” modern extension – not our cup-of-tea! Striking to the right balance between period home and modern contemporary living is a challenge. The best way to make sure your renovation and extension successfully blends old with new, is through combined communication with the owner, architect, builder and Council. There are two main streams of thought on renovating period homes to modern standards. One is to compliment and/or reproduce the existing features, textures, colours and structural design of the home with complimentary modern requirements; the other is to not reproduce anything, and create a modern renovation/extension that exists to compliment the heritage features and design only. Designed and built correctly, both can be equally beautiful. However, both are fraught with danger if not designed and executed well, and there are now a growing number of as many “faux modern” disasters as there are “faux heritage” . This is supported by a growing tendency by some Councils, to encourage development that is clearly and obviously different to the original heritage. What now exists are many beautiful period homes, stripped to a bare façade, with unattractive “box” like extensions attached to the back. 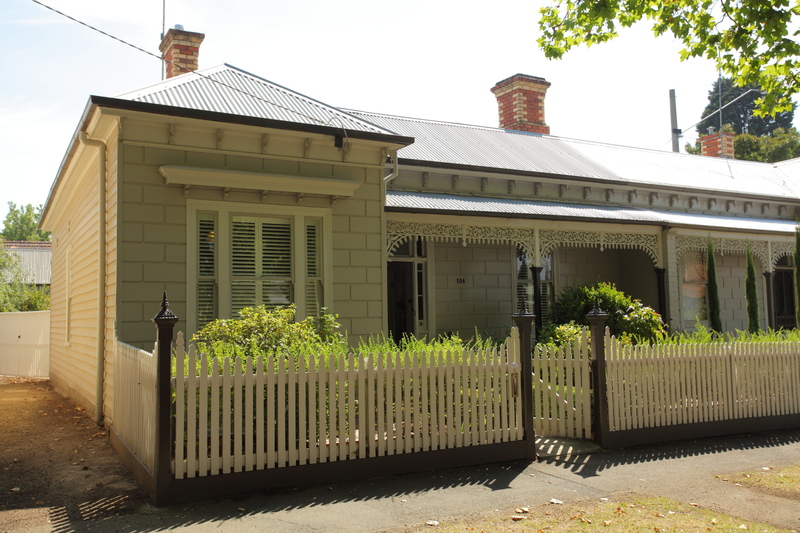 No-one could ever argue that they have tried to replicate any component of a heritage home with a “faux” extension. However, the question must be asked why would you do this to a period style home? The unique features of heritage and period homes are priceless, many of these features will never be re-sourced or reproduced as beautifully, or if at all, in future eras. Compliment or enhance – however, a massive “faux modern” box on the back of a period home, that will date before time, leaving the remnants of a heritage façade, is not our cup-of-tea!